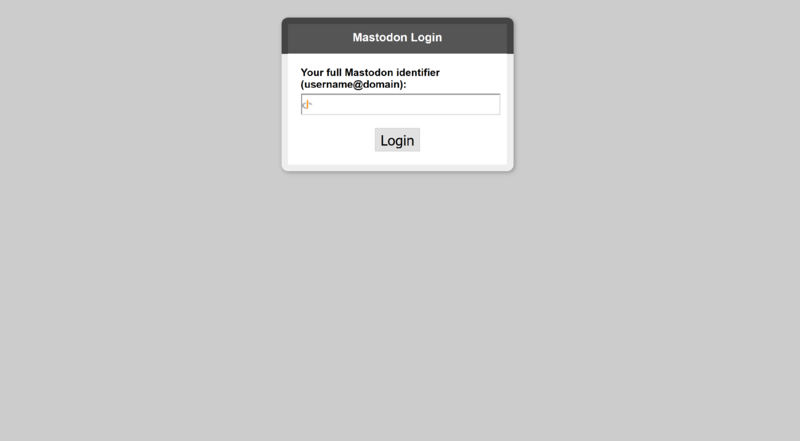 Mastodon is a free, open-source social network server software. It is essentially a micro-blogging system, very similar to Twitter, however, the network is decentralized in the sense that anyone can host and manage a Mastodon community, which are called "instances". Each Mastodon instance is independent but networked, and thousands of independent communities running Mastodon form a coherent network. Comity integrates with Mastodon. You can connect any Mastodon account from any Mastodon instance to Comity and publish posts to these accounts from a single place. Upon submitting the identifier, the process is as usual. You will be asked to log in your Mastodon instance account and authorize Comity.